The NFL season is underway. Nothing goes better with football than good dips. Well, except for maybe beer. 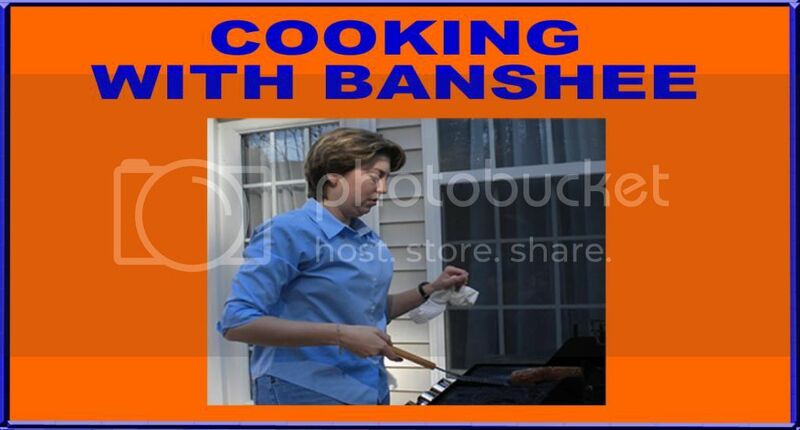 But, this is a Wild Banshee standby from way back in the day. In the interest of full disclosure, I originally got this recipe from an Olive Garden copycat website. I have made a few minor adjustments over the years, but it is basically the OG's recipe. You can get some form of the dip at pretty much any chain restaurant now, but the Olive Garden is the first place I ever tasted spinach and artichoke dip. And, this version continues to be my favorite. Bring the cream cheese to room temperature and thaw the spinach. Grease a 1.5 quart baking dish. When the spinach is thawed, drain it well. You will probably need to squeeze it with a paper towel to get out all the excess water. Chop the artichoke hearts. Set aside the artichokes and spinach. Mix together the cream cheese, mayo and all the other ingredients besides the mozzarella. Once those ingredients are mixed well, fold in the spinach and artichokes. Spoon the mixture into the baking dish. Top with the mozzarella. Bake uncovered at 350 degrees for 25 minutes or until the cheese on top is melted. Serve warm with tortilla chips or toasted bread. This recipe can also be done entirely in a crockpot.